Starting a blog can be a great low-cost way to experiment in side hustling and entrepreneurialism. Since you can still maintain a day job, blogging allows you to work a day job. During your nights, weekends, or between errands with family, you can write articles, build an audience, and start conversations on social media to build your brand. It’s a great way to also pick up some extra skills (a la talent stacking) for marketing, coding, photography, and copywriting! So, if you’re looking to turn blogging into a side hustle, or into a full time career, or maybe simply use it as a means to talent stack in the digital age–read on! One of the most common ways that people make money with a blog is to insert display ads in the content or sidebar to generate revenue based on traffic. For clicks, you can earn higher returns, but for every impression, you can earn passive income. Ads can be secured through ad networks like Google AdSense (that track impression activity through a pixel) or with direct ad placements for a static sidebar ad that is secured on a monthly basis with a flat fee. While ad revenue is the easiest to implement on your blog–for it to be profitable, you would need very high daily traffic. It can be an excellent supplement to your monetization strategy, but luckily, it’s not the only way! 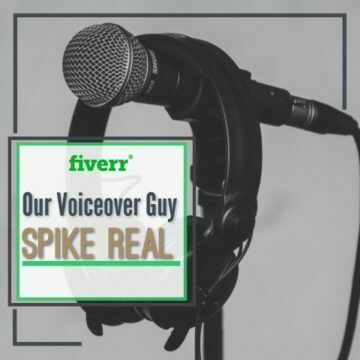 Sponsorship opportunities include paid social media promotion, sponsored articles, or reviews and video content which is created to talk about products or brands. After you’ve built a name for yourself and have a blog that’s updated regularly, you can start pitching for brands to sponsor pieces of content that would be aligned with your audience. Sometimes, brands will also find you and ask to send you product for free, or even pay you for promotion on top of product that's provided. Sometimes brands want a dedicated product review, while others want you to tell a story where their new product is authentically woven in, and yet others want to simply focus on the item and do a giveaway. Sponsorships can be very lucrative and a win-win if your audience could benefit from the partnership. Knowing how much to charge for your sponsorship packages will vary based on niche, the engagement of your audience and traffic, but you can get an idea of how much to charge by joining networks like TapInfluence or Acorn Influence to get offers and start gauging interest. While brands can find you and you absolutely can pitch brands on your own, working with a blogger network can be a great way to get started since they broker deals on your behalf and help you get visibility to larger brands with bigger campaigns. If you are in a niche that’s product based–whether your blog talks about fly fishing or real estate investing–there’s a high probability you will eventually talk about products that can be sold through affiliate programs. If you review a new fishing pole on your fly fishing blog, you can insert a link with a tracking code that generates a commission every time you make a sale on that pole. Amazon associates is a very popular affiliate program for several reasons–not only do you have access to thousands of products without having to opt-in to various affiliate programs and maintain the links individually, and you also can generate sales on products you don’t directly talk about. If you mention a fly fishing pole, and someone clicks that link but ends up buying dog kibble instead, you will get credit for that sale and receive a commission. Chances are you’ve seen a blogger promote an ebook or online course before, and it can be a great way to make money from your audience so long as your content is targeted and valuable. If you are taking the time to build a blog around homeschooling your children, or even documenting your own path to financial independence, what are things you wish you would have known when you started or could be a specialized product that the market needs? Identifying what your audience is craving that solves a problem–like travel hacking for larger families or sharing your lesson plans for homeschooling in an ebook, can be a great way to monetize content you’re already offering readers. Ebooks can be sold on Amazon, or direct downloads as a PDF on your site with relatively low cost. Courses can be developed from the comfort of your home and uploaded to sites like content.ly who provide an easy framework to get launched. While many bloggers focus on digital products that don’t require production or shipping, we’ve also seen bloggers with larger audiences develop physical products as well. Some bloggers have developed their own yoga mats, coordinated in-person workshops or retreats, and others have even created apparel with quotes or catch phrases. It’s up to you! It’s not an exaggeration to say that starting a blog changed the entire trajectory of my life. And many of you have expressed interest in exploring this as a hobby or maybe even as a side hustle. 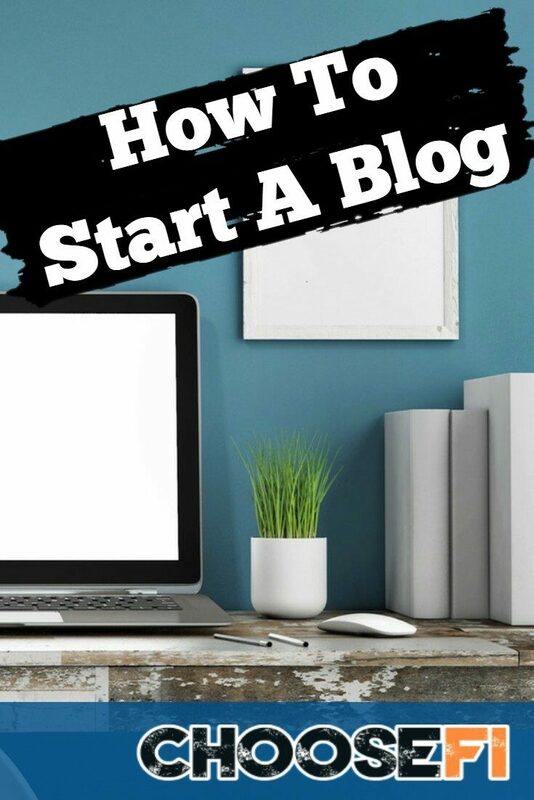 So with that in mind if you’re looking to start a blog, here is a step-by-step guide you can follow to get started today. You can have a blog up and running in just a few hours, even if your tech skills are limited. Before you get started creating your blog, you'll want to take some time and figure out why you’re looking to start a blog in the first place Having a ‘why’ behind your blog can help when it comes to choosing a name, theme, topic, and the positioning of potential affiliates. Also, the ‘why’ behind your blog will help you determine who your ideal reader is. Here are some of the primary reasons people start blogs. Some blogs exist purely to act as a form of journaling. Some individuals find it cathartic to put their thoughts into words and share them. And, in some cases, the blogger behind the blog remains anonymous to create even more comfort when sharing their personal thoughts and feelings. Blogs are amazing for educating a specific audience on a given topic. Blogs posts vary in style, but those that are informational or ‘how-to’ in nature, help their audiences learn more about a given topic, or specifically show them how to do something. Some people are blown away when they learn that blogs are great for earning money. For some, blogs are much more than a hobby, in some cases, blogs are full-blown businesses. 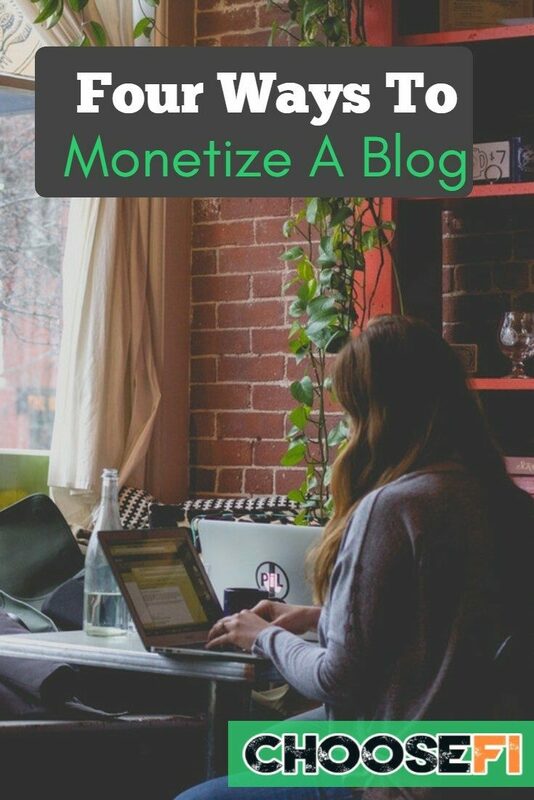 Not only do big blogs earn plenty of money, but they can also be sold for big sums of money too. While your goal doesn’t need to be to make loads of money, it can be fun to aim for some level of monetization. For those with another primary business, a blog is a great secondary method of building credibility within an industry. While you might have a business presence through LinkedIn or other social channels, a blog is a space to share what you know about your field of expertise–whether it’s cooking, decorating, personal finance, investing, cars, etc. Host: This is where your files are stored, for example Siteground. Blogging Platform: This is the framework of your blog. It provides the content management system and design, for example WordPress. It's important to know that some services offer the blogging platform and host in one. These are sites like Squarespace, Wix, and Weebly. Even WordPress has it own in-house hosting service. While these services make it easy to get started we don't recommend them. They have limited flexibility which means you will quickly outgrow them. And your content is often trapped on that service. If you decide to leave you likely will not be able to take your content with you. Your blog topic should be something specific. Get started by starting with a broad topic and narrowing down as you go. For example, those in the personal finance space could blog about all personal finance topics–like debt, savings, investing, real estate; while other blogs choose to be more specific. For example, someone might focusing exclusively on paying off debt. Your blog will require plenty of your attention so it’s best to choose a topic you feel passionate about. Your chosen topic should be one where you could already imagine endless article topics. While it’s easy to get hung up on choosing a name for your blog, it’s not worth delaying the launch over the perfect name. Recall companies like Uber, Skype and Google. You wouldn’t have known the purpose of their businesses just by their name–and yet, they are massive success stories. When brainstorming a name, work to keep the name relatively short, simple to spell, and something unique. Start with five potential names. It’s not worth getting too hung up on any one name, as you’ll need to see which of the names you’ve brainstormed are available through your host. Keep in mind, if you buy your domain at the same place you are going to host your site, you save yourself the trouble of moving it to your new host. However, moving it is possible, so if you already own a domain at one site you are not forced to host it there. 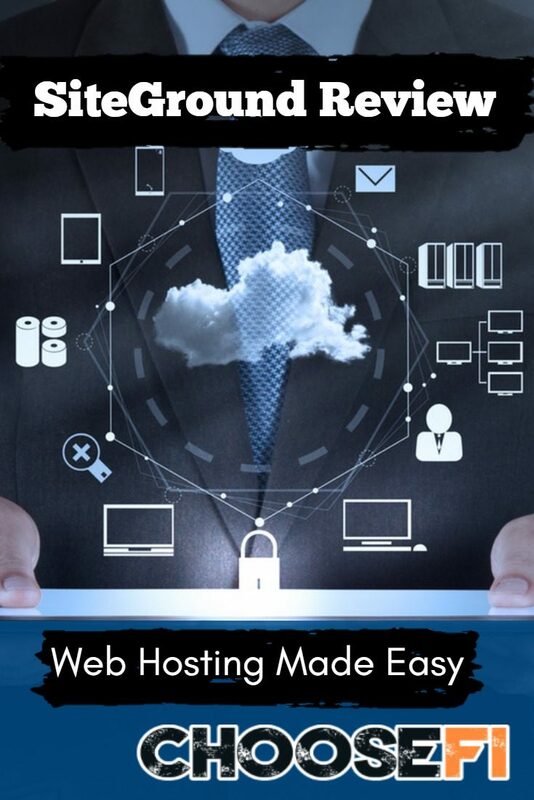 The hosting service is where you site lives. If you are starting out I would recommend taking a look at Siteground. Siteground is an easy-to-use web host, with plans starting from as little as $3.95 per month. It is by far the best value for a new blogger. They also have great customer service and plenty of opportunities to scale as your brand grows. The host ensures that your website is accessible 24/7, that it can handle multiple visitors, that it can’t be hacked and so on. While free hosts are available, paid hosts offer premium features which are highly recommended such as enhanced security, email addresses, and back-up services. A paid host will allow and support high volume traffic. Check out our review of Siteground here. As far as we are concerned there is only one choice here–Wordpress. You will get WordPress through your host. Set up your domain and host first, then add WordPress to your site via the host. WordPress may appear complicated but it has endless templates and plug-ins, including the best potential for selling online. Also, with an almost cult-like following, the WordPress community has endless discussion forums where nearly any question has an answer. Think about this, 25% of the internet is built using WordPress. There is plenty of help out there if you have questions. We use WordPress and would recommend it for you as well. Templates often offer a stylish color palette, and, in some cases, are geared towards the intention of the website. WordPress has a near unlimited number of paid and free themes; and even, themes intended for bloggers, restaurateurs, creative services, etc. Choosing a more specific theme, like those for bloggers can enhance the user experience saving you time in the form of optimization and formatting. You don’t need to find the perfect template on day one, in fact, experimenting with different free options could be a good strategy. Too many would-be bloggers fail to start blogs because of paralysis by analysis or perfectionism. Don’t get hung up on the perfect theme, template, font, or color. The most successful bloggers just get started and adjust as they go. Successful blogging requires constant iteration and adjustment, but it doesn’t have to happen before you get started or overnight. The biggest regret of most bloggers is that they didn’t get started sooner. So, carve out some time, be willing to make mistakes, and take action. What’s your favorite blog that you’re currently reading? So I'm not naturally frugal. I don't crave minimalism or get express enjoyment from having less. If I could drive a massive 2016 Silverado without payments I would probably go for it. But, I am a practical frugalist. I realize that the dollars and cents add up, and a dollar saved now is a dollar I can put to work for me down the road. Frugalism is a means to an end for me. The end goal is Financial Independence. I want to work because I want to, not because I need to.